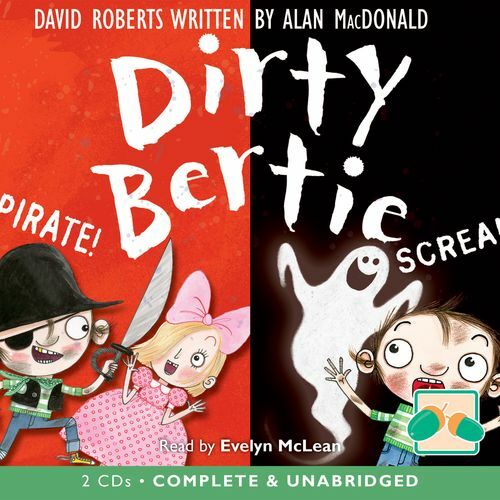 You are here: Home > Browse > Dirty Bertie: Pirate! & Scream! Dirty Bertie the boy with nose-pickingly disgusting habits is back for another helping of comic chaos! In Pirate! Bertie samples life as a swashbuckling pirate, cooks up a storm in the poshest restaurant in town, and teams up with Dad at the School Sports Day in an attempt to beat Royston Rich! In Scream! Bertie builds his very own haunted house, goes on a wet weekend away with his family and tries to cheat at the Spelling Bee! Duration 1 Hrs. 40 Mins.